We spend a lot of time in our workspaces. Whether you work in an outside office or at home, you need to set up your work area so that you can be productive, motivated and happy at work. Here are some ideas to create your ideal workspace. 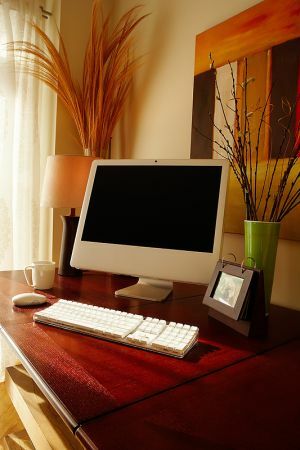 Make your workspace attractive to you. Choose a look and feel that works for you. Do you like bright colors? Earth tones? A window with a view?What is your style? Invest some time and money to make your workspace a place you want to be. Use music, scents and plants to make your workplace a pleasant place to be. Don’t play music that puts you to sleep or distracts you, but choose tunes that keep you upbeat and motivated. Essential oils and other scents can be enjoyable, but remember that some people are sensitive to scents. If you work around others or often have clients in your office you may want to go easy on the aromatherapy.